Whoa! Bob is back with a great pair of New Zealand “wonders”. 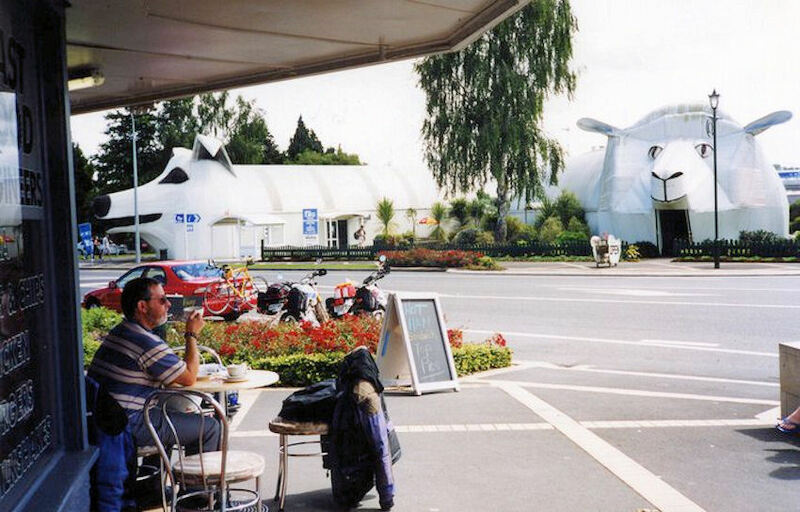 How crazy-cool are the sheep and dog buildings in Tirau, New Zealand!?! The dog building is a public restroom/information center (visit the TarauInfo website to read about the inspiration for the building and to also catch a glimpse inside). The sheep building is the Big Sheep Wool Gallery, which offers woolen goods and gifts. 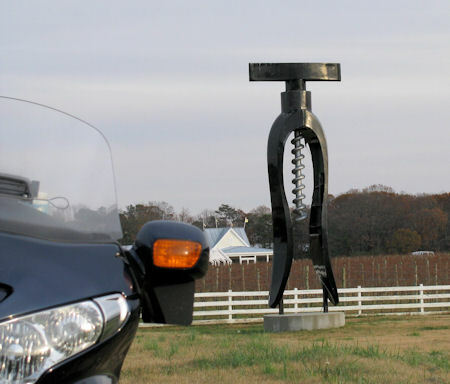 Believe it or not, this isn’t RoadsideWonders’ first public restroom submission. Check out the O’Brien, Oregon Fly!